It’s six dots reflecting the image of the rose. It means the state that real world and dreamland fused. One day Rose living in the Rose heaven got lost about the world called the Lotus heaven in the other side of a deep forest on the way to shopping. She made friends with boy "Z" and friends whom she met in Lotus heaven and spent the days when it was mysterious and was fun. However, She missed own house several days after, and she decided to return to Rose heaven. Furukawa of the flower told a secret of the Lotus heaven to her. The Lotus heaven is being dreamland to look at when she sleeps. Rose heaven and the Lotus heaven become one if she continue praying without forgetting the dream. Rose woke up in Rose heaven quietly. In a morning to hear the song of small birds. There are a building and a car and an air-conditioner or a smartphone for our rotation for granted. However, the thing which a human being ever dreamed of made them a phenomenon. By a computer, the speed of becoming it is hasty a phenomenon drastically. "Singularity by the AI is the very front, too". Time when a human being is overtaken in a dream comes. I sometimes think whether, in fact, oneself and this world are not the dreams that the computer which developed super highly causes. Shingo IGUCHI was born in 1957 at Hiroshima. He started "Z plan" to search a character and virtual world possibility based on the world of the character "Z-chan" started in 1984 by comics. He continues expressing the world of "Z-chan" through comics, a picture book, a picture, a novel, an animated cartoon, various activities including the performance afterward. He was elected as a Japanese artist, one of the representatives with Yayoi Kusama, Tadanori Yokoo and others in 2010 to a Shanghai expo memorial prints exhibition. 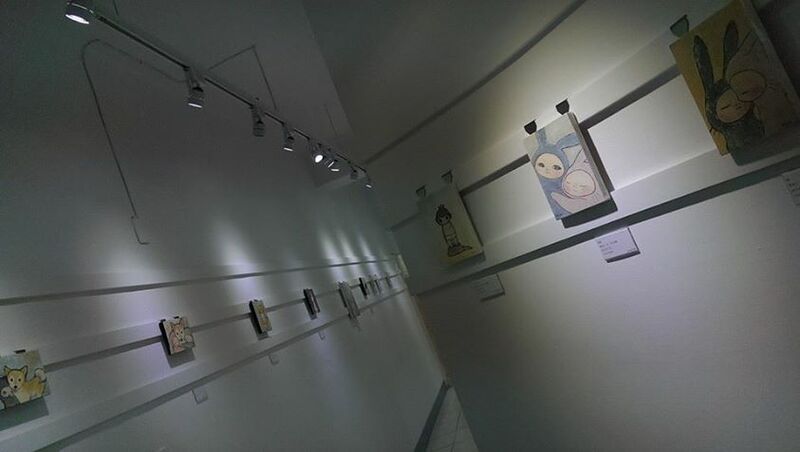 The exhibition was gone around from China, and each gallery places of Japan. June, 2010 Satelites ART LAB as private exhibitions, other private exhibitions, a lot of group exhibitions. Citytalk城市通 ⓒ 2009-2019 All Rights Reserved.